Exploration on interiority offers opportunities to gain insights on the body engagement in space, and how it may be approached through professional practice and pedagogy in the field of interior architecture. Current discourse on interiority and interior architecture has called for a comprehensive investigation on interrelationship between local values, identity and how interior architecture posseses responsibilities to address those issues within the society. Such discourse is necessary to ensure knowledge sharing and to bring together creative ideas and future visions of interiority. 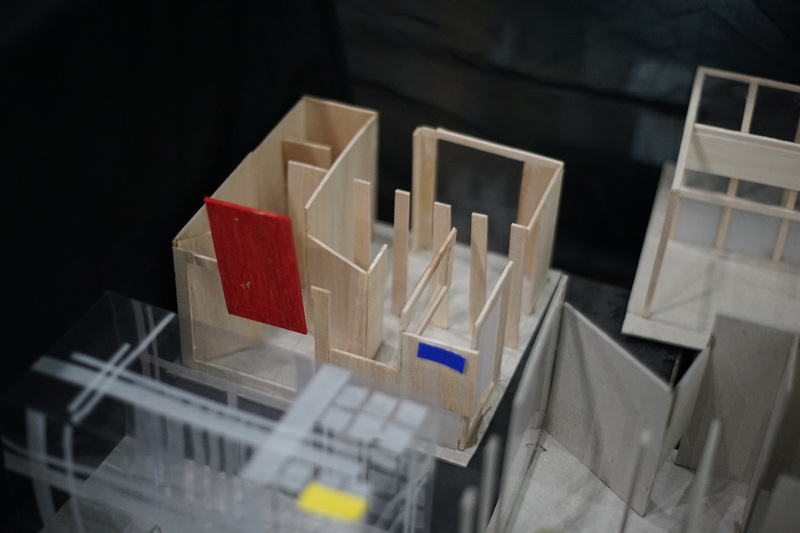 The conference will provide opportunity for not only reinterpreting and developing knowledge, methods and creativity in interiority, but also becoming an attempt to understand the potential agencies and collaboration in interior architecture design. 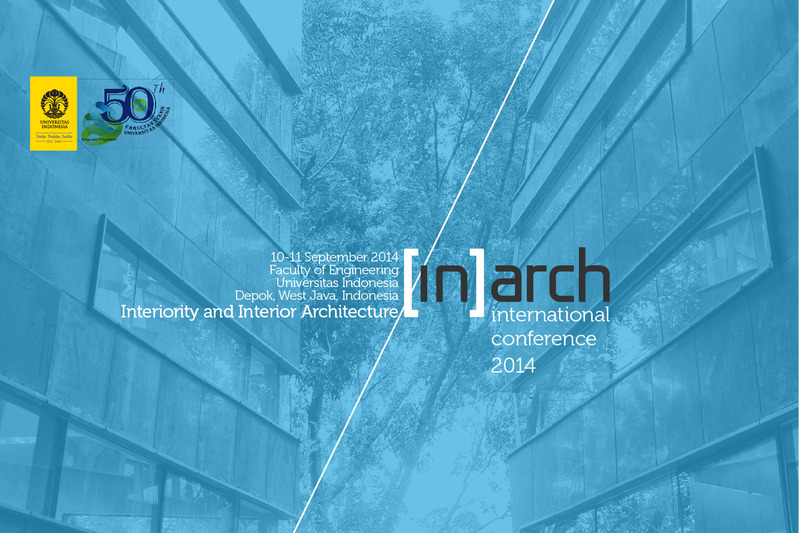 To ensure collaborative atmosphere in such discourse, this conference invites international scholars and practitioners to discuss interiority and interior architecture through interdependent perspectives of practice and pedagogy. 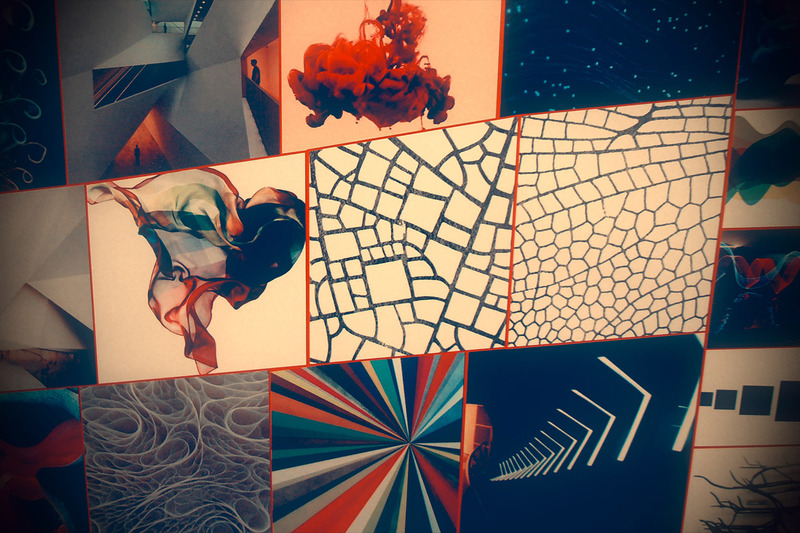 Over the past decade, interest towards interiority has increased considerably due to vast development on the subject and how it responds the interdependencies of body and space culturally. Interiority offers potential approach in dealing with the needs of saving resources and subsequently affect the sustainability of its design. Understanding of user and space in local and global context becomes essential in this subject and its connection towards interior architecture. This circumstance provides an urgency to encourage discourse and knowledge in the understanding of interiority and interior architecture. Interiority in architecture is not limited to the concept of insidedness. It is related to all of the elements that affect human’s life quality. Current thoughts on interiority as the core of interior architecture has not been fully addresed in practice and pedagogy. Further discourse of comprehensive practice, knowledge and methodology on interiority becomes a significant potential to be developed. redefine the position of interior architecture as both a legitimate educational program and a profession in accordance with global dissemination of interior architecture. 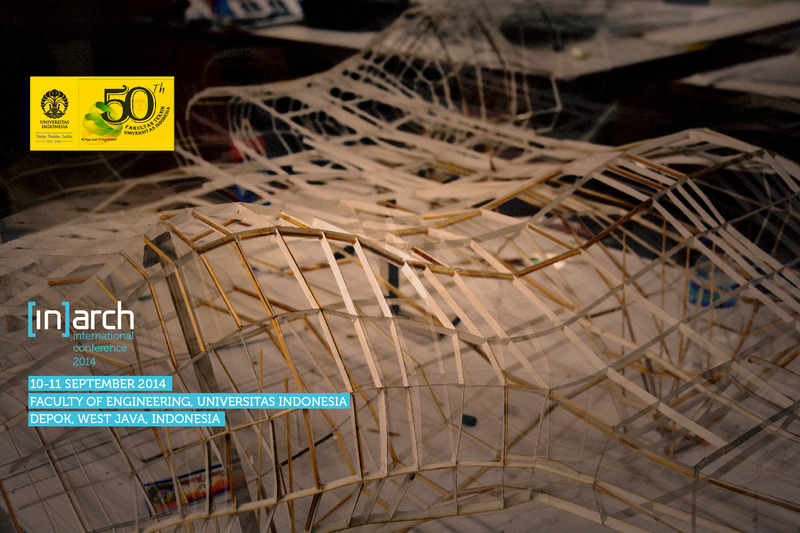 initiate the exchange of ideas, knowledge, skills and experiences in the field of interior architecture. 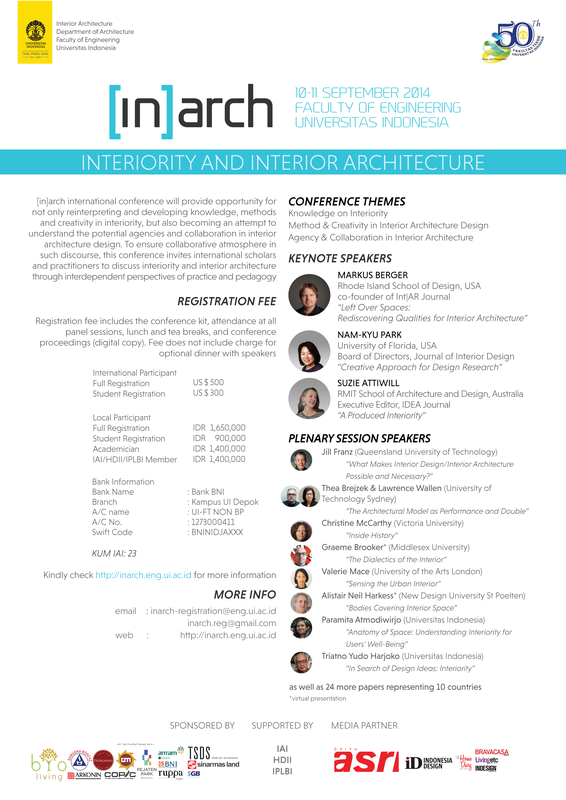 In addition, to highlight the importance of interiority as a substantial part of interior architecture in profession and pedagogy based on best practices as such the conference will create a link amongst academics & professional . 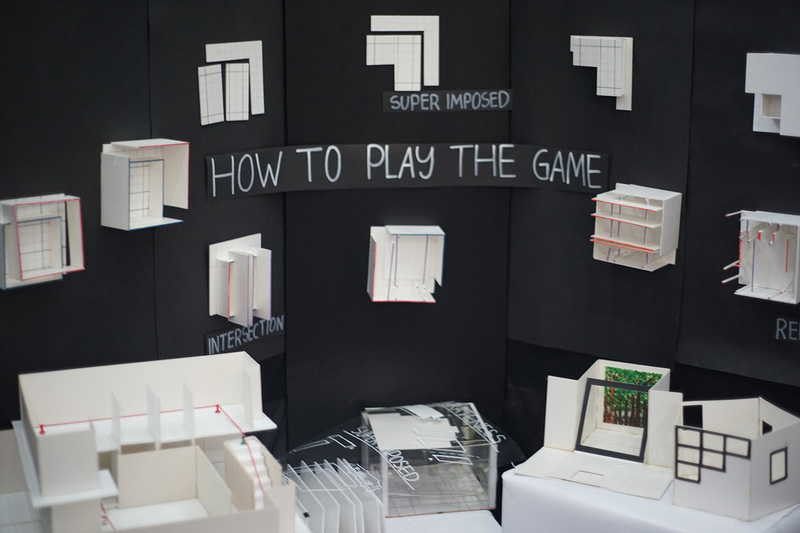 provide practitioners and academics with a platform to increase the understanding of interiority and interior architecture.